Little, Brown and Company, 9780316117593, 224pp. In 1963, at the age of 17, Dwayne Hallston discovers James Brown and wants to perform just like him. His band, the Amazing Rumblers, studies and rehearses Brown's Live at the Apollo album in the storage room of his father's shop in their small North Carolina town. Meanwhile, Dwayne's forbidden black friend Larry--aspiring to play piano like Thelonius Monk--apprentices to a jazz musician called the Bleeder. His mother hopes music will allow him to escape the South. A dancing chicken and a mutual passion for music help Dwayne and Larry as they try to achieve their dreams and maintain their friendship, even while their world says both are impossible. In THE NIGHT TRAIN, Edgerton's trademark humor reminds us of our divided national history and the way music has helped bring us together. 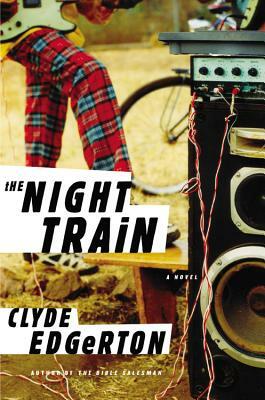 Clyde Edgerton is the author of nine previous novels. He teaches creative writing at the University of North Carolina Wilmington, where he lives with his wife, Kristina, and their children.